COMPATIBLE WITH MULTI-APPS AND SINGLE-APP EDITIONS FROM 4.15.0 VERSION. It adds credit cards payment option in the Mcommerce feature. This way the users will be able to pay by credit card from their mobile from the Mcommerce feature. To install it, from your Siberian admin panel, go into “settings”, then “modules” and just upload the zip file. It will be automatically installed. Does my country is available with Stripe? Stripe accepts payments from all over the world. That means if you integrate it in your system you will be able to accept payments from all over the world. 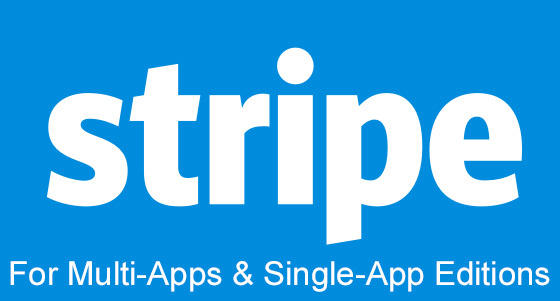 But to enable it in your system you or your company have to be located in a country where Stripe is already located. If you are located in one of these countries, you will be able to create your Stripe account and accept payments from customers anywhere in the world. I have a Platform Edition can I get this module? Not this one, it is for the Platform Edition and can harm your Siberian. If you have a MAE or a SAE, get this one instead to allow payments by credit cards in the Mcommerce feature, click here.